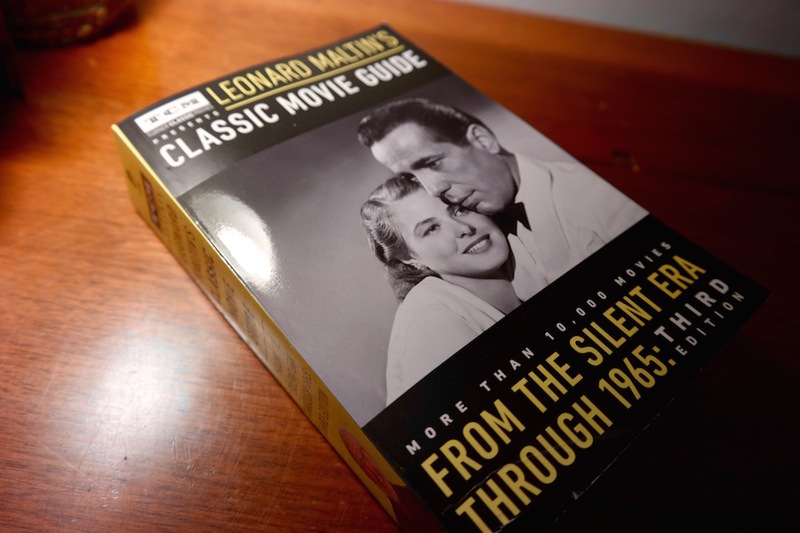 The brand new Classic Movie Guide, edited by Leonard Maltin, is out today, marking the third edition of the vintage-themed offshoot of Maltin’s long-running Movie Guide. This massive, encyclopedic tome houses an impressive collection of capsule reviews and basic information about more than 10,000 classic movies, from the silent era through 1965, as well as separate indices for major directors and actors, a widescreen format glossary, and even an “A to Z” list of memorable performances. After an incredible 45-year run, Maltin’s original incarnation of the Movie Guide published its final edition last year, and the Classic Movie Guide makes its final appearance here. The Classic Movie Guide split from the regular Movie Guide in 2005, due to the sheer physical size constraints of a printed book that by definition had to grow every year. Classic film fans really benefit from the split though, as we’re treated to much more detail on some obscure treasures that likely wouldn’t have been included in the more mainstream, single volume. To hammer home the classic movie connection, this edition was co-branded by Turner Classic Movies. The change is already apparent with the cover design that’s well in keeping with TCM’s other branded products. Maltin is already a familiar presence in the TCM family, as his reviews appear on the TCM Movie Database, and he frequently appears as a guest at the TCM Film Festival. In celebration of the Classic Movie Guide‘s publication, Maltin also programmed an evening of entertainment on TCM last night, featuring a few of the films that garnered new reviews in this edition. Historically, the Classic Movie Guide has been published only every five years (the second edition came out in 2010), since new classic movies aren’t entering the canon in a constant, unstoppable stream, and thus don’t require frequent edits—but, of course, there’s also a bounty of classic movies out there to be discussed and plenty of room for updates. The new entries that aired last night include Among the Missing (1934), Stolen Identity (1954), Five and Ten (1931), and Why Be Good? (1929)—which rocked the house to raucous applause from the ladies at this year’s TCM Film Festival. Those represent only a fraction of the new reviews in this edition though, as the previous version boasted over 9,000 reviews, while this new one clocks in at over 10,000. If you’re a devotee of Marie Kondo-style minimalism, an 848-page book with information that’s largely available online might not be your type of purchase (though if you think it will bring you joy, by all means, go for it). 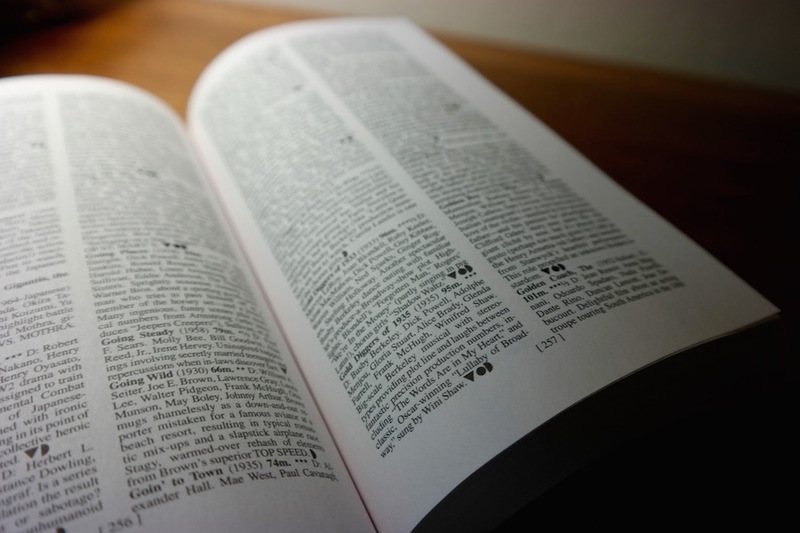 But for those people open to Things, there is a certain unique joy to getting your information from a printed page. You could look up the director of The Long Hot Summer on IMDb, sure, but the fun part about the printed Classic Movie Guide is the process of searching itself, finding poetry in the proximities, humor in the repetitive naming tropes, and new discoveries that pop out as you flip through the pages in your hand. It’s an experience you just can’t replicate by typing your search into Google and having your answer delivered to you immediately.